I have to admit that I wasn’t exactly eating the spicy fried chicken sandwich from Fuku, David Chang’s new fried chicken restaurant, with an open mind. My original plan was to try the vegetarian burger at Superiority Burger, but upon arrival I discovered that it wasn’t open for lunch, and Fuku reluctantly became the fallback due to its close proximity in the East Village. I wasn’t thrilled by the idea of this spicy gut bomb resting in my stomach on a hot summer day, giving me a bad case of the meat sweats, but I figured if Chang could work his magic on some steamed pork buns, maybe he could do the same with the classic chicken sandwich. You can clearly tell that Chang is banking on Fuku to be his mass franchise behemoth. Everything about the restaurant is designed with quick turnover and huge volume in mind. There aren’t any seats, only standing counters so that people don’t hold up precious dollars with lingering or loitering. The chicken sandwiches aren’t made to order, instead, they are cooked all throughout lunch service and kept warm in aluminum bags beforehand. The sandwiches are usually pretty fresh, though, since customers are continuously coming in and out of the door, and replenishment is constant. The menu is extremely limited, with a chicken sandwich, French fries, a salad, and a prepackaged Momofuku Milk Bar cookie as the only food options, as to be easily replicated and to optimize buying on scale. It’s classic McDonald’s franchising 101. I don’t mind that this restaurant is so obviously profit-driven, as long as the sandwich lives up to expectations. Unfortunately, the few minutes that the sandwich hung out in the bag made a huge difference to quality. The bag ended up creating moisture, which caused the potato bun to shrivel up and become soggy. 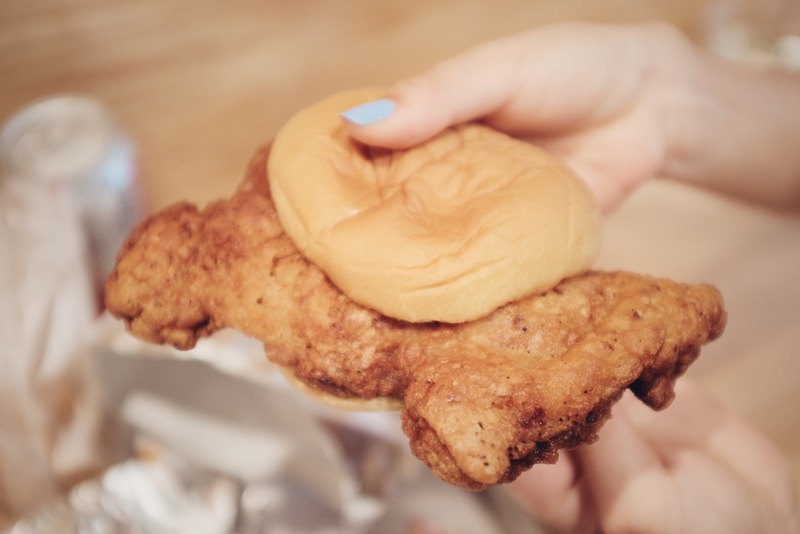 It didn’t help that the ratio of bun to chicken fillet was extremely off to a comical degree, and the shrinkage from the moisture exacerbated the proportions. Seeing as how the bun was ruined, I was banking on the fried chicken fillet to blow me away, but it really didn’t. It was very crispy and spicy, which was a plus, but the underlying chicken meat was way too greasy and fatty. Several points throughout my meal, I broke off pieces of breading only to find squishy, sebaceous bits rather than proper chicken meat lying beneath. If I’m going to spend valuable calories on a fried chicken sandwich, it better be spent on meat, not breading and fat, and needless to say I declined to finish the entire thing. The French fries were an even bigger disappointment. These weren’t crispy shoestring fries, they were the clunky, soft potato wedges of my youth, served to me by the bored lunch ladies behind a glass counter. The wedges were also extremely salted and caked on with a paprika rub that had me reaching for 5 cups of water. Usually I can never say no to a French fry, even wilted ones, so the fact that I could draw the line at 5 was a testament to how unappealing they were. 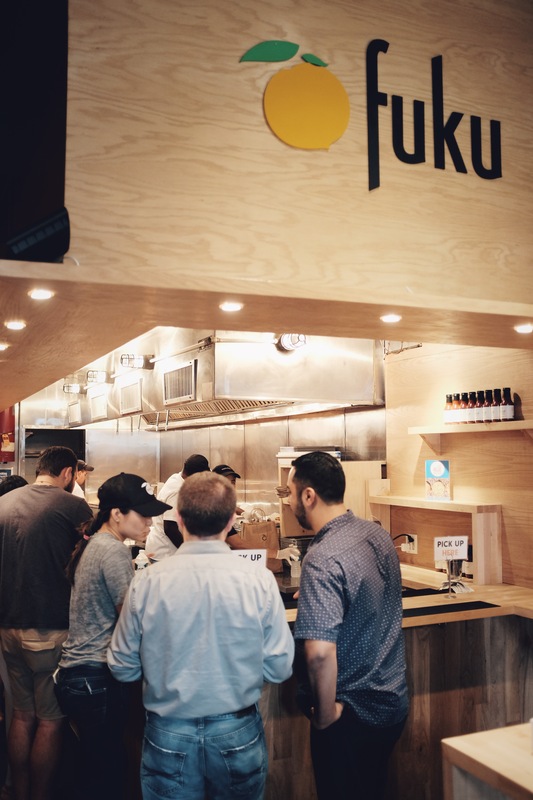 There were plenty of people lining up for a midday sandwich and raving about it, so I’m sure Fuku will be on track to its aspirations of building out another outlet or two, and Chang recently opened a branch in Midtown for the corporate crowd. But a fried chicken empire on par with a Chick-fil-A? 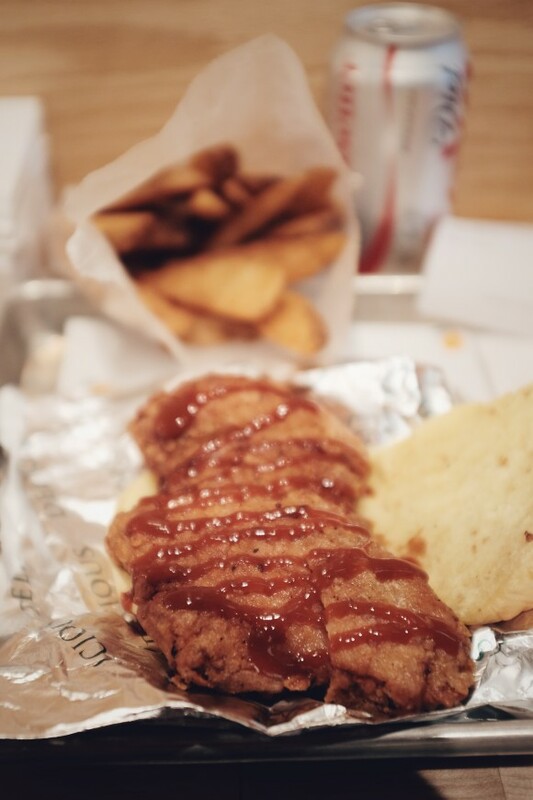 Yes, that massive fried chicken steak is a novelty that will keep the Instagram hash tags coming, and David Chang’s name alone will bring in the traffic, but I’m not so sure if Chang’s fried chicken sandwich kingdom will come. I personally am not a big fan of David Chang and his Momofuku empire. 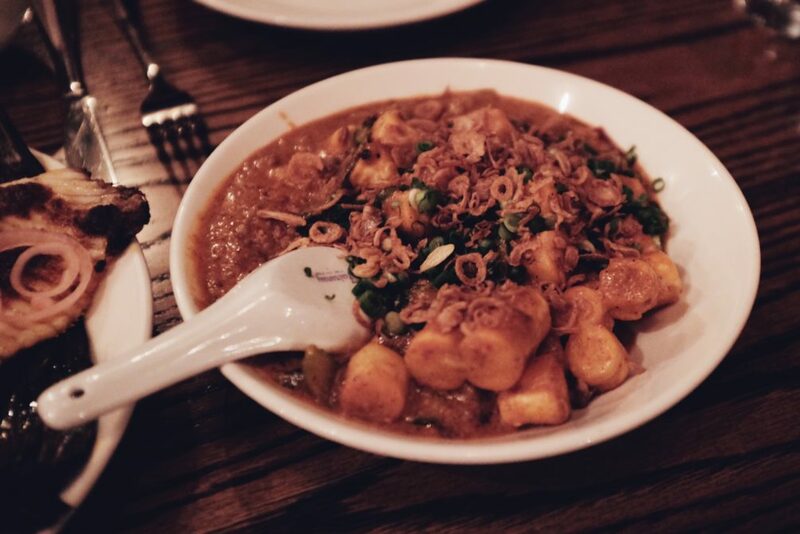 I think most of his Asian-inspired dishes are nothing special, but I guess there are some people out there who seem to think a little kimchee here and there is mind-blowing food innovation. 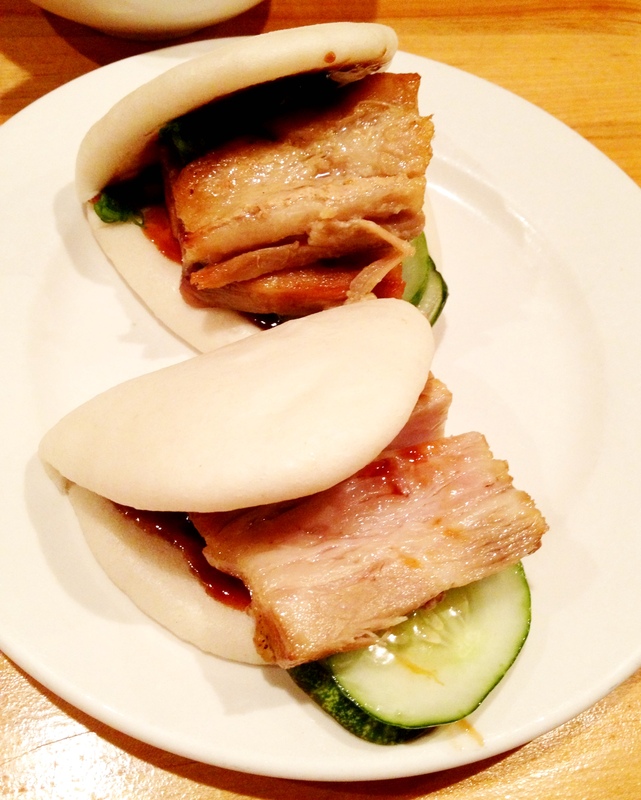 But I do have to admit, the man makes a pretty damn tasty pork bun. Eating these pork buns after a three day juice cleanse was about the closest thing to heaven.